You are dreaming and in your dreams theres a boat, a smooth beat and a good friend with you and you are rapping lines like ‘…life changing young brother like DMT, eye opening mothersucker like LSD…’ then you wake up. Unlike you ESESE (Eastern Seaboard Electric Soul Experience) have made their dreams reality. A Melbourne based collective of talented artists who reside in the cool summer breeze of Melbourne’s flourishing music scene, Hudson James Jnr and Hancoq are featured in the dreamy summer time visuals. AINTNO stopping a young brother who’s presence is reminiscent of DMT. 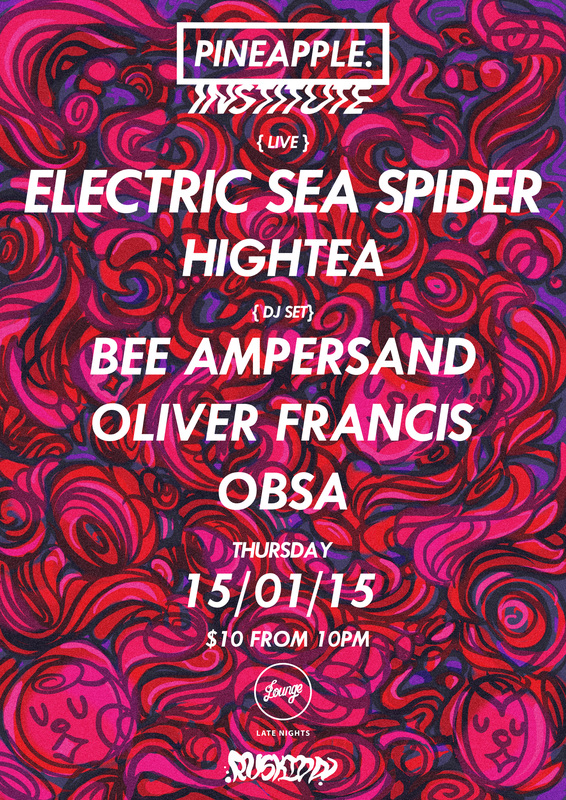 Pineapple Institute is returning to Lounge tomorrow with Electric Sea Spider on the bill alongside Bee Ampersand, Oliver Francis, HighTea and Obsa. If you are in Melbourne you should check it out. Hidden away in ‘burn city we got Knownayme with some smooth beatstrumentals.